Did you know that supporting native bee species is a crucial part of promoting our pollinators? Mason and leafcutter bees have proven to be the best pollinators, and there’s a lot you can do to support them. 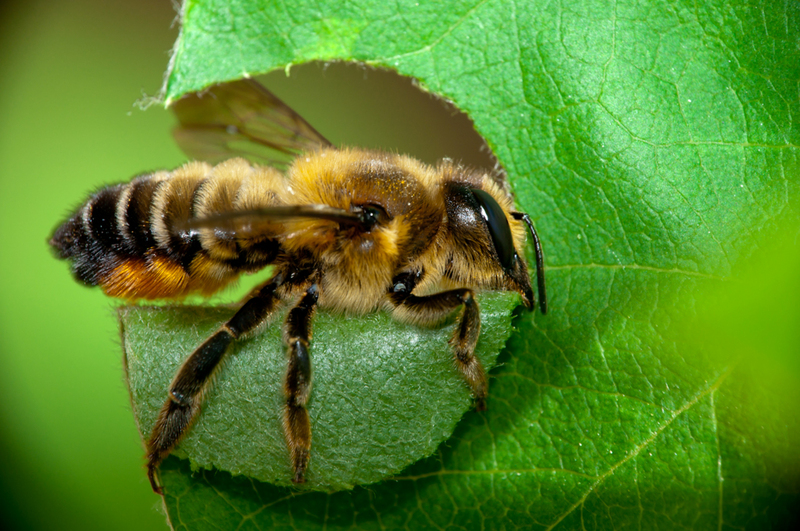 Mason bees and leafcutter bees are part of what’s called the megachilidae family, which is a family of solitary bees. 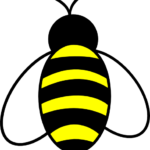 Solitary bees are bees that don’t live in colonies, but each female bee makes her own little nest and does all the work for it herself. What makes them amazing pollinators? Other bees, like like the honey bee, wet the pollen and carry it in their pollen baskets back to their nest. Mason and leafcutters don’t have the pollen baskets so the pollen gets all over them. And since they don’t wet the pollen, it’s dry and sitting dry on the hair which lets it fall off more readily as it flies from flower to flower. They have very energetic, vigorous motions when they’re in a flower that release large amounts of pollen. And they require more trips to flowers to gather enough resources to provision a brood cell, so they’re going to be visiting flowers about ten times more frequently than other kinds of bees. Masons and leafcutters are a native species, so because they’re native they don’t face a lot of the challenges that honey bee faces, because they don’t have the same social structure or the same pests and viruses so they don’t suffer from colony collapse disorder, which has been seriously afflicting the honey bee for some time now. And also, by being native, they know how to pollinate native plants better than bees that were imported. For example, a honey bee doesn’t quite know how to pollinate a blueberry bush, which are native to North America, and native bees like the mason and leafcutter are going to be much better at that. They have a less potent venom in their sting, which is more similar to a mosquito bite. Even so, because they don’t have a colony to protect, they almost never sting anyway. They are a very gentle and pleasant group of bees to have around your garden. Mason’s and leafcutters don’t like to travel very much. They like to forage within 300 feet of their nests, so that also makes them great as garden pollinators.